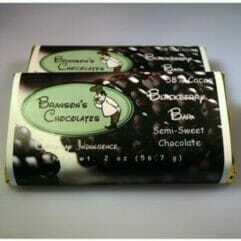 Here at Branson’s Chocolates we have chocolates that we call our Gourmet line. Some are not your everyday flavors, some are elevated flavors. They all are delicious and decadent. 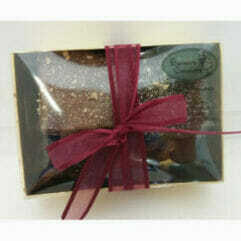 This month we are featuring our Gourmet Chocolates. If you like your dessert a little spicy, or slightly exotic, or even a bit adventurous, we have the chocolate for you—Wasabi Ginger Chocolate. 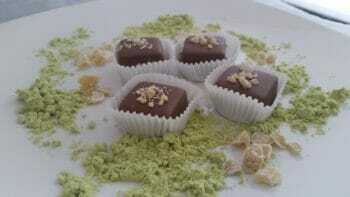 We add wasabi powder to a dark chocolate ganache square, dipped it in milk chocolate and top it with candied ginger. 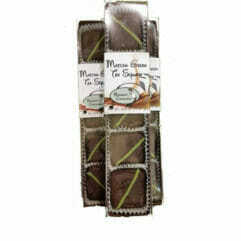 It’s a gourmet treat for adventurous chocolate lovers which is inspired by a wasabi ginger potato chip. Matcha Green Tea square is made by mixing ceremonial grade match agree tea powder into a white chocolate ganache, formed into squares, and then dipped in dark chocolate with a green Matcha chocolate stripe. According to many studies, Matcha tea makes this a sweet treat loaded with benefits: L-Theanine, an amino acid known to create calmness and improve memory, powerful antioxidants including polyphenols and EGCg which is believed to be a powerful anti-carcinogen and catechins which help lower LDL cholesterol, to name a few. Thanks to http://www.naturallivingideas.com/10-amazing-benefits-of-matcha-green-tea/ . Exotic jasmine tea is steeped to create the flavor in a semi-sweet ganache center, which is then dipped in delicious Belgian milk chocolate and topped with a sprinkling of jasmine tea. Jasmine Tea Square is a delicious combination of bitter tea’s antioxidants and jasmine’s floral delicacy with gourmet Belgian chocolate. Blissful everyday indulgence! The best thing about Earl Gray Tea is that it is delicious, which is why BRANSON’S CHOCOLATES created our EARL GRAY TEA SQUARES. We steep Earl Gray Tea into rich cream, and then stir it into a dark chocolate ganache. We cover the ganache in milk chocolate and top it with a stripe of more dark chocolate. We are passionate about local products from local vendors, so we use tea from Full Leaf Tea Company based in White City, and cream from Umpqua Dairy. 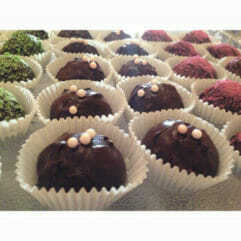 This is just a few of our Gourmet Chocolates. To see the entire line of Gourmet Chocolates you can come into our retail location or check our website.